This boiler has an output rating of 18kW making it perfect for people that do not have a high demand for hot water - so maybe one family bathroom and one WC. 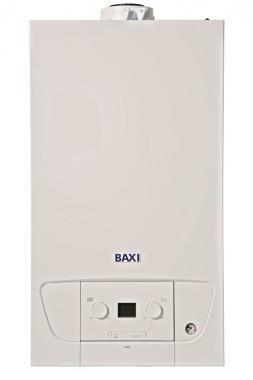 The 218 Heat boiler is made from 100% Baxi manufactured parts, which have a history of being of very high quality. In terms of efficiency, you are looking at a B rating for this boiler which is the equivalent to 89.2%. This is a conventional boiler meaning it needs a hot water cylinder normally located in the loft space as well as an expansion cistern which is also located in the loft. This particular model has an 18kW output, but this model is also available in 12kW, 15kW, 18kW, 24kW and 30kW - so something for all size homes. With its simple yet durable parts, installation is very painless with the Baxi 218 Heat ande of course your mounts and brackets are included. You’re unlikely to need it, but this boiler comes with a 5 year warranty.